1. Submerge the Römertopf base and lid in a sink full of water. Allow to soak for at least 15 minutes. 2. In a small bowl, mix all the dry ingredients together. Dry the pork with paper towel. Lightly sprinkle some liquid smoke over the pork shoulder/neck, and spread it around with your hand. Smear a generous layer of organic, or good quality, tomato paste over the top of the pork OR a barbeque sauce of your choice. Then evenly sprinkle the dry spices over the tomato paste. 3. Remove the clay base from the sink, and sit it on a towel. Place the meat in, then place the wet lid on top. 4. Set the covered pot into a cold oven, then turn the temperature up to 200C with fan. Bake for 30 – 40 minutes. Then carefully remove the pot from the oven and place it on a folded towel (don’t put it straight onto a cold bench, or it will crack). 5. Remove the lid, then carefully pour two cups of hot water around the meat. Replace the cover and put the pot back into the oven. Turn the temperature down to 150C with fan and bake for a further 2½ hours or more, depending on the size. Using the tomato paste on the top of the roast keeps it moist enough that I didn’t need to turn it over halfway through baking, as you might otherwise want to do to ensure the top doesn’t dry out too much. 6. 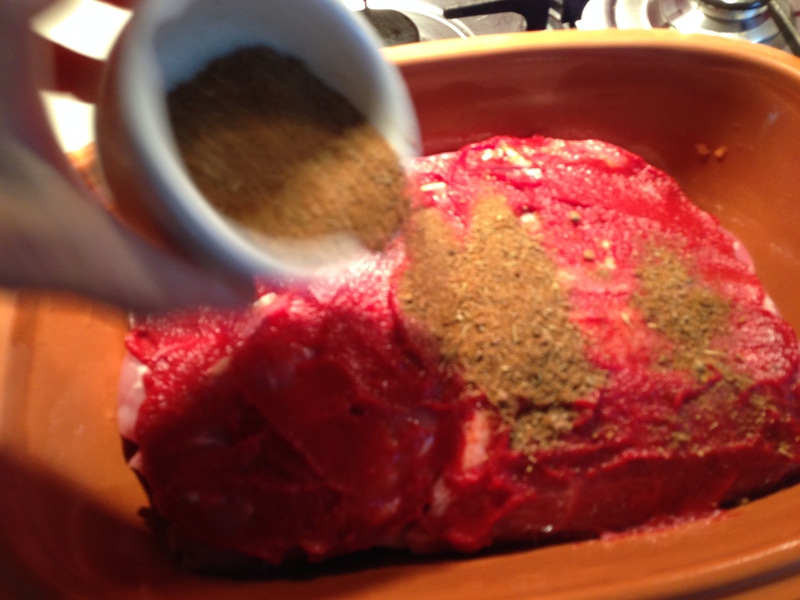 After the cooking time, transfer the meat to a plate, cover with foil and allow to rest. You should be able to shred the meat with two forks. Serve with Barbeque sauce. Oh my, oh my, good heavens, oh my. 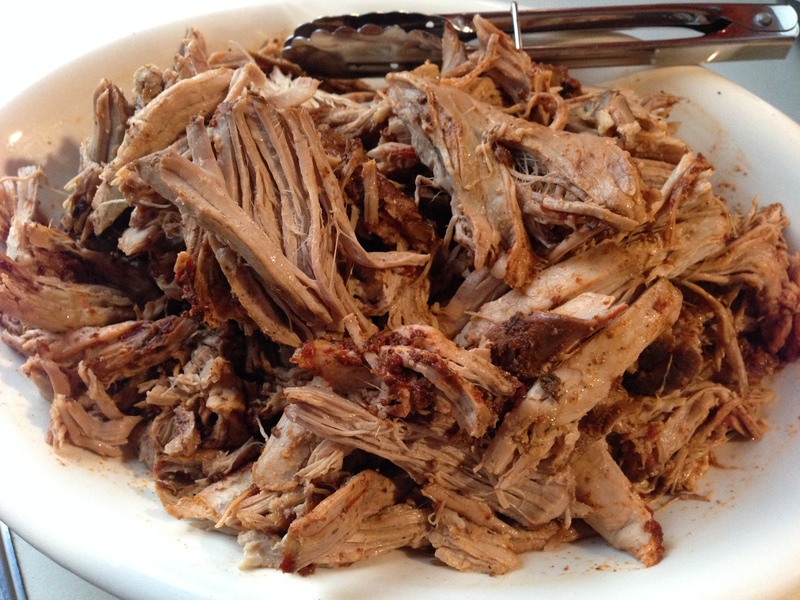 As pulled pork is very much on my mind going into BBQ season, I will have to give this one a whirl. And how bout that? I have a Romertopf!